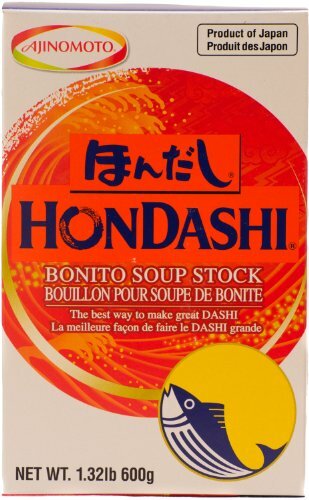 This bonitofish soup stock is used for soup base for miso soup, hot pot, and soup noodles. Dashi is the most important flavor of Japanese food and it’s used in many different dishes, and you can use this instant version or make it from scratch with katsuobushi. 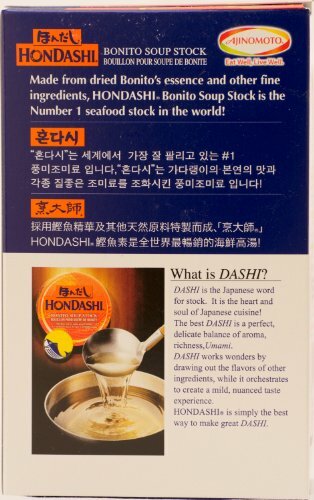 To make dashi using this product, simply add to boiling water and stir (1 tsp Hon Dashi to 1 cup water). As a variation, use the liquid in which dried shiitake mushrooms hav been soaked. Sometimes translated as “broth,” dashi is actually much more. It’s not only an essential ingredient for literally thousands of Japanese dishes, it’s also a deliciously creative way to add irresistible flavor to foods while reducing sugar and salt content. 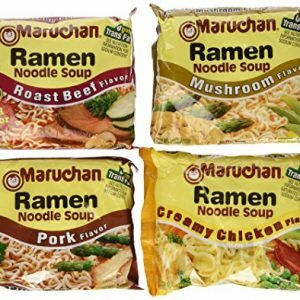 Have you ever had the feeling that some flavor is missing, but you don’t know what it is, or what to add? Try adding a little Hondashi. 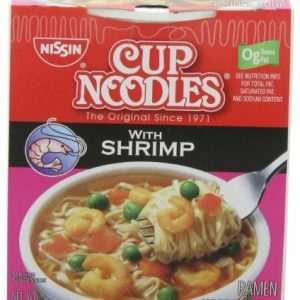 We offer the best quality Ajinomoto brand. 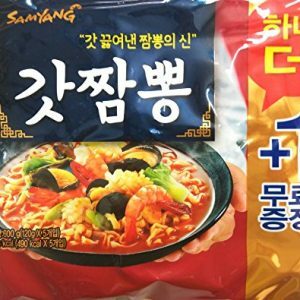 Ingredients: salt, monosodium glutamate, lactose, sugar, dried bonito powder, disodium inosinate, bonito extract, yeast extract, disodium succinate. Product of Japan.